CAMARILLO, Calif.–(BUSINESS WIRE)–Inc. magazine today revealed that GeoLinks is No. 786 on its 37th annual Inc. 5000, the most prestigious ranking of the nation’s fastest-growing private companies. The list represents a unique look at the most successful companies within the American economy’s most dynamic segment—its independent small businesses. Microsoft, Dell, Domino’s Pizza, Pandora, Timberland, LinkedIn, Yelp, Zillow, and many other well-known names gained their first national exposure as honorees on the Inc. 5000. Not only have the companies on the 2018 Inc. 5000 (which are listed online at Inc.com, with the top 500 companies featured in the September issue of Inc., available on newsstands August 15) been very competitive within their markets, but the list as a whole shows staggering growth compared with prior lists. The 2018 Inc. 5000 achieved an astounding three-year average growth of 538.2 percent and a median rate of 171.8 percent; GeoLinks smashed the average at 635 percent. The Inc. 5000’s aggregate revenue was $206.1 billion in 2017, accounting for 664,095 jobs over the past three years. Headquartered in Southern California, GeoLinks is a leading telecommunications company and competitive local exchange carrier (CLEC) public utility, nationally recognized for its innovative Internet and Digital Voice solutions. Ranked No. 5 by category on Inc. Magazine’s 2017 Inc. 5000 Fastest Growing Companies in America, GeoLinks delivers Enterprise-Grade Internet, Digital Voice, SD-WAN, Cloud On-ramping, Layer 2 Transport, and both Public and Private Turnkey Network Construction expertly tailored for businesses and Anchor Institutions nationwide. GeoLinks’ accelerated success is largely due to its flagship product, ClearFiber™, which offers dedicated business-class Internet with unlimited bandwidth, true network redundancy, and guaranteed speeds reaching up to 10 Gbps. Named “Most Disruptive Technology”in the 2018 Central Coast Innovation Awards, GeoLinks’ ClearFiber™ network is backed by a carrier-grade Service Level Agreement boasting 99.999% uptime and 24/7 in-house customer support. With an average installation period of 4-to-7 days, GeoLinks is proud to offer the most resilient and scalable fixed wireless network on the market. GeoLinks Ranks No. 6 on the 2017 Pacific Coast Business Time’s Annual 50 Fastest-Growing Companies List with Revenue Growth Recorded at 340%. GeoLinks, an industry-leading Internet and Phone provider, earned the No. 6 spot on the Pacific Coast Business Times’ (PCBT) 50 Fastest-Growing Companies list released Friday, September 22, 2017. Proudly serving the Ventura, Santa Barbara, and San Luis Obispo Counties, the PCBT’s annual list highlights the 50 fastest growing companies, both public and privately owned, across California’s Central Coast. Ranked by revenue growth from 2014-2016, this year’s list highlights GeoLinks alongside other nationally recognized companies such as MindBody, Patagonia, Deckers Brands, Procore, and Sonos. While listed as No. 6 overall, GeoLinks took the No. 1 spot for fastest growing telecommunications company in this year’s round-up. Recording more than 100% growth in annual revenue for the past six consecutive years, and on track for its seventh, GeoLinks’ accelerated success also earned the No. 5 spot on Inc. Magazine’s Inc. 5000 Fastest Growing Telecommunications Company in America released in August of 2017. The PCBT’s 50 Fastest-Growing Companies will be honored at an evening gala reception hosted at Santa Barbara’s new Moxi Museum on October 19th from 5:30-7:30 p.m.
For media inquiries or additional information, please contact Lexie Olson at lolson(at)geolinks.com.  Headquartered in Southern California, GeoLinks is a leading Internet and Phone provider and competitive local exchange carrier (CLEC) public utility, nationally recognized for its innovative Internet and Hosted Voice solutions. Ranked No. 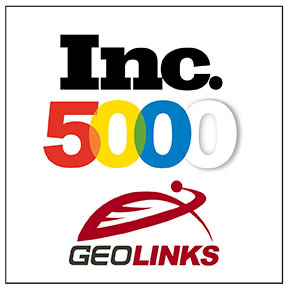 5 by category on Inc. Magazine’s 2017 Inc. 5000 list of Fastest Growing Companies in America, GeoLinks delivers Enterprise-Grade Internet, Layer 2 Transport, Hosted Voice, and both Public and Private Turnkey Network Construction expertly tailored for businesses and Anchor Institutions nationwide. GeoLinks’ accelerated success is largely due to its flagship product, ClearFiber™, which offers customers fixed wireless on the most resilient and scalable network ever built. From land procurement, to construction, to permitting, and more, GeoLinks does everything in-house, expediting installation periods nationwide. Boasting ultra-low latency, 99.99% uptime, sub 10ms jitter, and a 4-hour max response time, GeoLinks prides itself on delivering the industry’s best Service Level Agreement backed by round-the-clock in-house customer support. Recognized as a thought-leader in closing the digital divide, GeoLinks proudly sits on an array of national boards, coalitions, and working groups including the Schools, Healthcare & Libraries Broadband (SHLB) Coalition, the Broadband Consortium of the Pacific Coast(BPPC), and the FCC’s Broadband Deployment Advisory Committee’s (BDAC) Streamlining Federal Siting Working Group. Inc. magazine today ranked California Internet L.P. dba GeoLinks NO. 604 on its 36th annual Inc. 5000, the most prestigious ranking of the nation’s fastest-growing private companies. The list represents a unique look at the most successful companies within the American economy’s most dynamic segment— its independent small and midsized businesses. Companies such as Microsoft, Dell, Domino’s Pizza, Pandora, Timberland, LinkedIn, Yelp, Zillow, and many other well-known names gained their first national exposure as honorees of the Inc. 5000.